Love the mouse cursors on Vista but still running Windows XP? Here’s how you can get vista mouse cursors on Windows XP. 1. 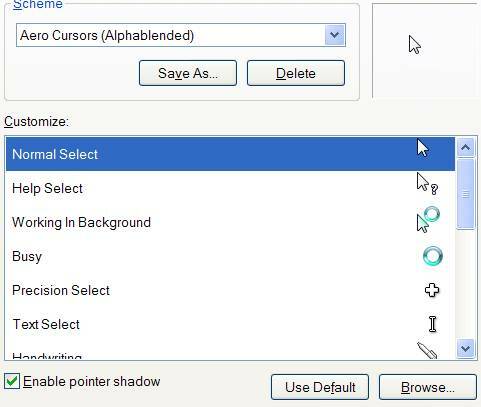 Download the Aero Cursors (Alphablended) mouse cursor package. 3. Look for Install.inf, right click on it, and select install. 4. Goto Control Panel > Mouse and select Aero Cursors (Alphablended) from the selection list. 5. Press OK and that’s it. I have a problem when i select writes this cursor scheme is already in use.Do you want to replace the original scheme?i clecked on no and works fine but what means ?